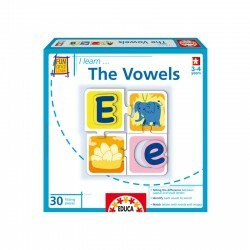 Children become familiar with the vowels, matching them with images and words. 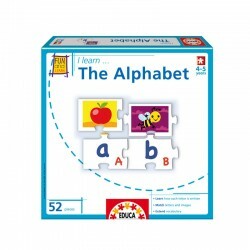 Also learn to distinguish between capital and lower case letters. 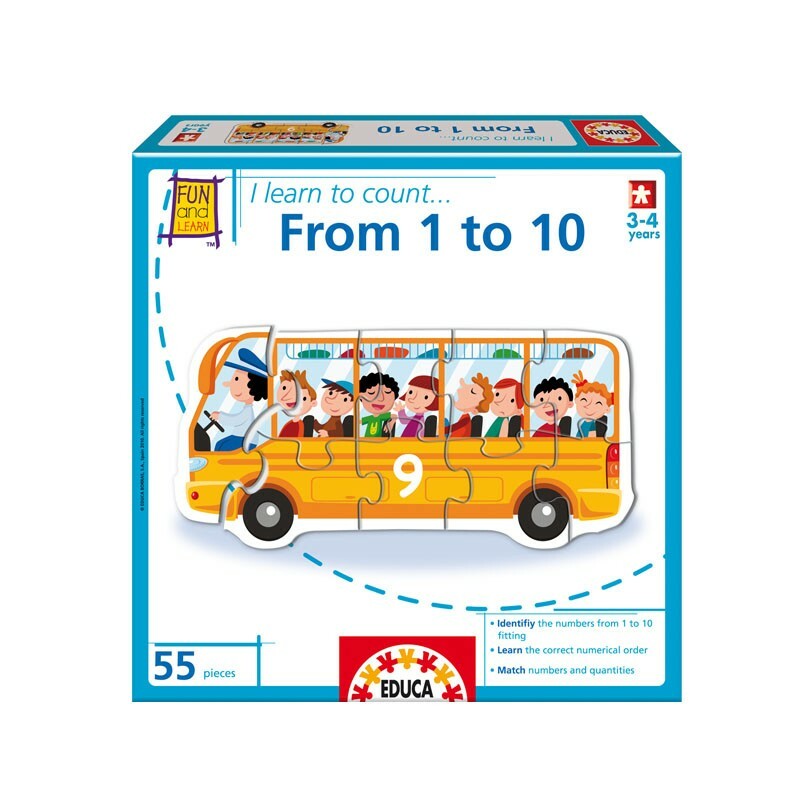 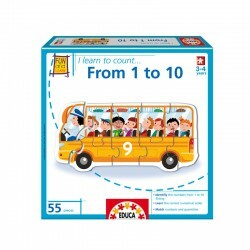 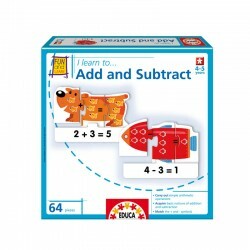 Ages 3-4, 30 pieces.